My youngest daughter turned 7 last month, and she was only asking for a few things for her birthday. She wanted to go away overnight to a nearby hotel to swim with her sister, as well as get signed up for sailing classes in the spring, and also wanted a "big girl" musical jewelry box. 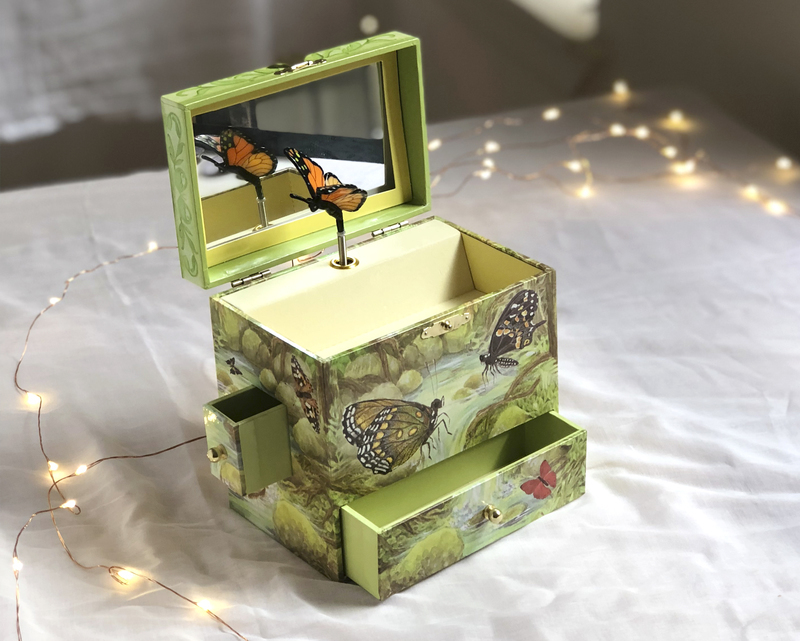 We did the first two things for her, and thanks to the kind father-daughter team/business partners over at Enchantmints, they sent me one of their musical treasure boxes, which I had planned to review and include in my holiday gift guide. Knowing just how much my daughter wanted a musical treasure box, I knew she would be perfect in helping me with this review. My daughter loves to dance and has taken ballet classes the past couple years with some of her homeschool friends. 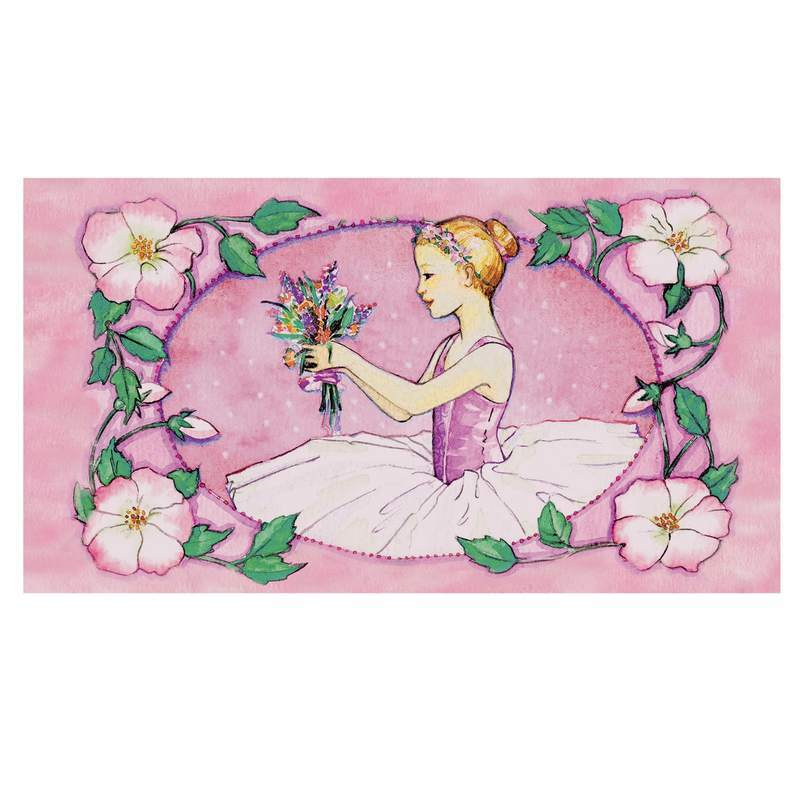 And, whenever she sees something with a ballerina on it, she stops to look at further, and usually asks if she can save her money to buy it. 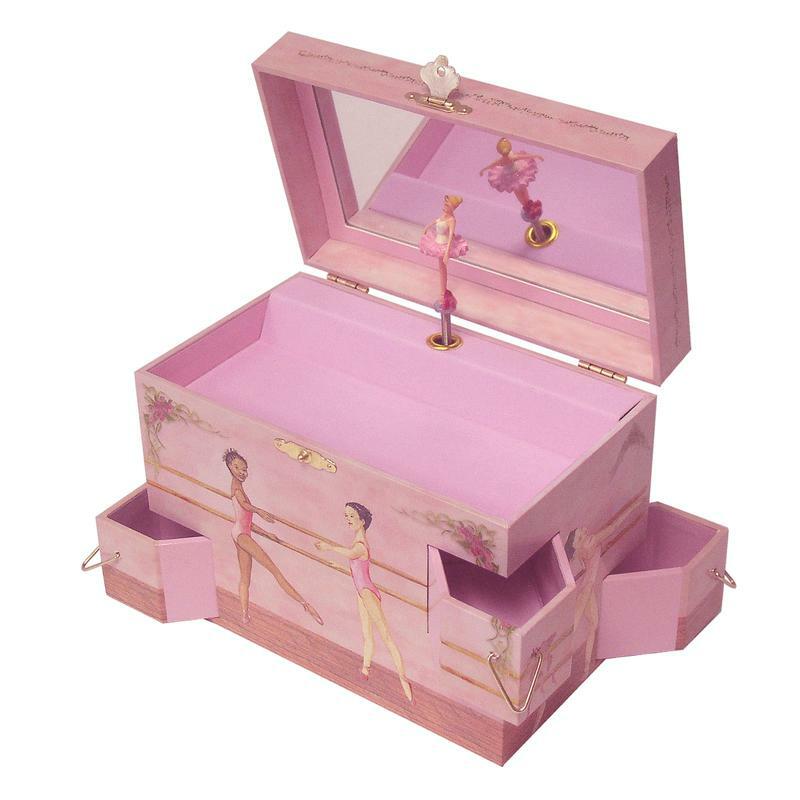 Knowing just how much she loves ballerinas, I knew she would love this musical treasure box, which includes a ballerina who twirls around to "Swan Lake"when you open the lid. 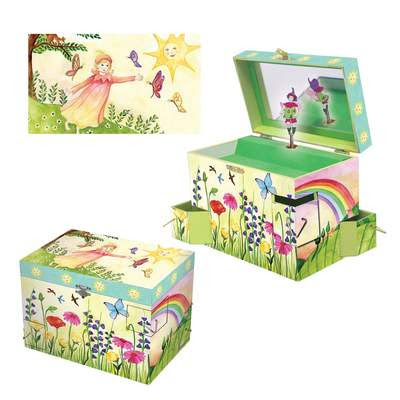 I have bought music boxes for my girls in the past, but we have never been truly satisfied with the quality. Usually the dancer or fairy that is supposed to move around stops after awhile, sticks when in motion, or just doesn't do anything. But, when I stumbled upon Enchantmints and browsed their line of musical treasure boxes, I could see that their product is not like others I have bought in the past. 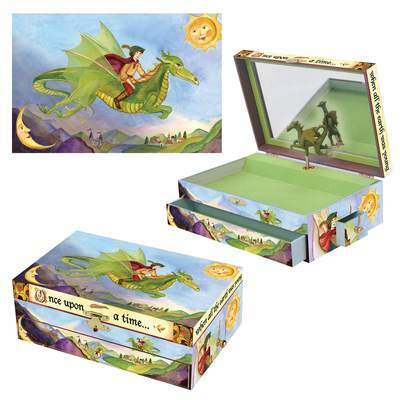 First, all the designs on their musical boxes are original pieces, created by a team of talented artists. Also, each and every music box is tested to the highest degree and is 100% safe for kids. The boxes are made from Medium Density Fiberboard, which is a wood-composite product from New Zealand grown lumbar, and held together with non-toxic glue. Even though the music boxes aren't made here in the USA, they are made in a family factory in China that has over 40 years of expertise in manufacturing. 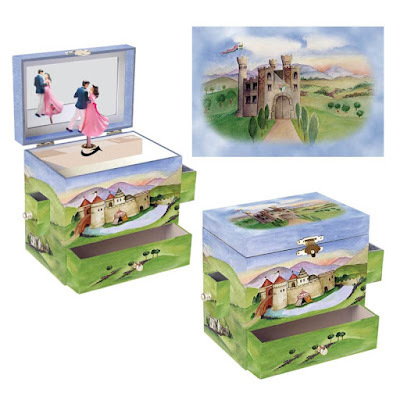 In addition to falling in love with the designs on the music boxes offered over at Enchantmints, I also loved learning the back story on the business, and loved how it was run by a father and his daughter. Their mission includes supporting the arts and creativity and they have been doing this since 2004, and are doing a great job at it. I surprised my daughter with the Ballet School music box from Enchantmints for her birthday and she was all smiles. She loves "Swan Lake" and has watched many ballerinas dance to this song. 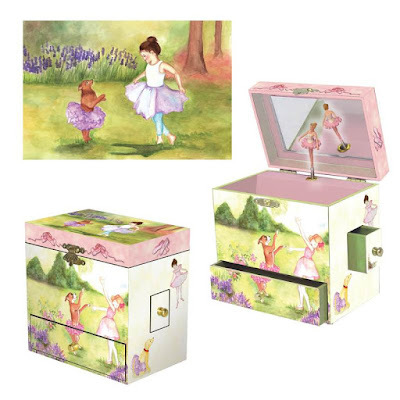 So, when she opened up the music and heard the "Swan Lake" playing as the beautiful ballerina twirled around inside, she knew that this was the magical treasure box she had wished and hoped for. For the better part of the day, she kept winding up the music box and sat admiring the ballerina twirling around. 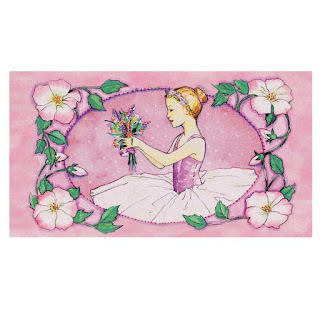 Together with her sister, they tried to come up with their own ballet dance to the song, as they twirled and leaped around the living room, listening to the music box play. And, when she wasn't dancing with her sister, or simply sitting and admiring the ballerina twirl around inside the box, my daughter was deciding which precious jewelry pieces and trinkets she wanted to keep in her new "big girl" musical treasure box. 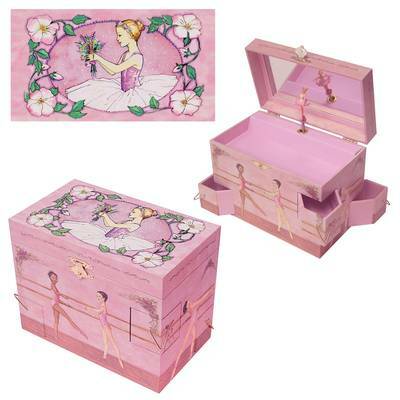 It has been a few weeks since my daughter received this Ballet School musical treasure box from Enchantmints, and she still enjoys it each and every morning and evening. When she wakes and gets ready for the day, she will usually wind her music box up and listen to as she is making her bed. Then, will do it again, as she gets ready and decided on what jewelry she wants to wear. And, at night as she gets ready for bed, she will listen once again, as she gets her bed ready for the night. I love seeing her smile as she watches the ballerina twirl around, and love hearing this beautiful song play. 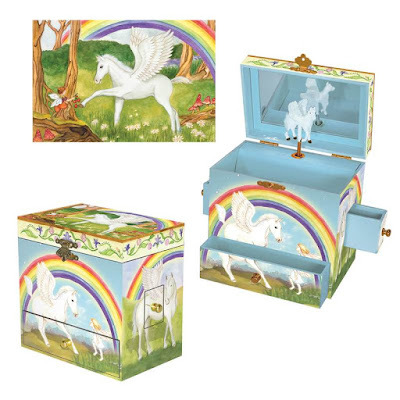 As the holidays fast approach, why not considering picking up an Enchantmints musical treasure box to give that special little girl in your life. 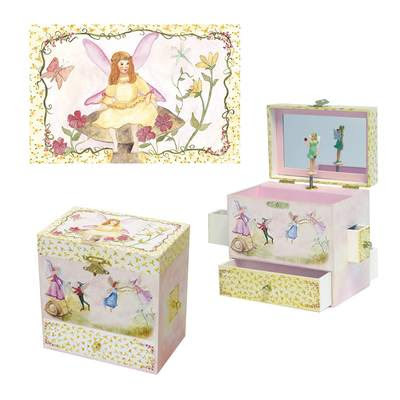 Their eyes will twinkle and they will smile when they open the lid to their new music box and see the ballerina, fairy, butterfly, or other figure twirl around inside as the music plays. This is definitely one of those gifts that will grow with your child, and be a favorite gift of theirs for years to come. My daughter loves her music box and shows it off to family and friends every chance she gets. And, I happy that this is a well-made product and one that I continue to rave about also to family and friends who ask for recommendations on "big girl" music boxes or unique gifts for girls. To learn more about the Ballet School music box that I have talked about above, as well as other musical treasure boxes available for purchase through the Enchantmints website, head on over to https://enchantmints.com/. I know you will fall in love with all the beautiful designs including the ones shown above..the hard part is choosing a favorite to order. :-) Good luck! These are precious! They would be great gifts for my nieces.